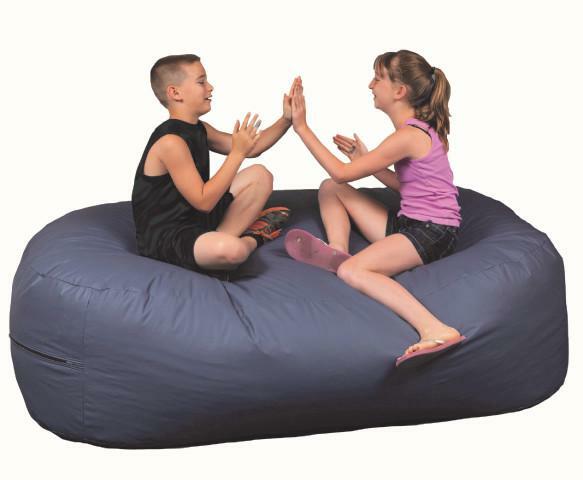 This huge overstuffed bean bag is good for sitting or lying. Easy to clean vinyl makes this a great place to hang out. Dimensions: L: 72" x W: 48" x H: 20"